Social media brand advocates can have a powerful influence on the purchase decisions of others, which makes it a promising tactic for companies to nurture them. Predictive analytics software can provide the necessary data to help companies locate the right influencers and craft engaging content that turns them into brand advocates. 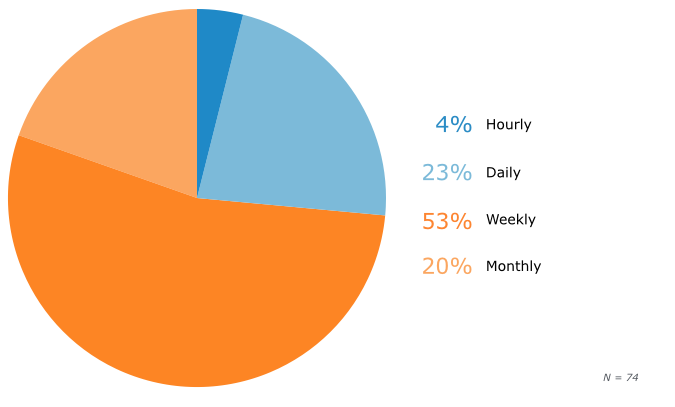 In this report, we investigate how predictive analytics can be used to identify quality social media influencers, connect with them and generate the type of content they are most likely to share as advocates for your brand. Nearly half (46 percent) of marketers surveyed say they struggle to identify and communicate with social media influencers. Another 46 percent of marketers say they struggle to predict the preferences and behavior of social media influencers. Although they struggle making predictions about social media behavior, many marketers (68 percent) aren’t yet taking advantage of predictive analytics software. 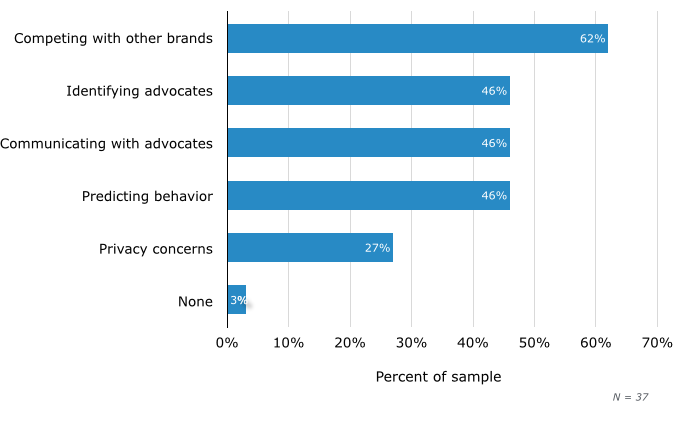 Many marketers (27 percent) say they feel challenged by advocates’ privacy concerns, but 75 percent of advocates say they are comfortable being approached by brands. Advocates prefer to share brand posts on entertaining stories (27 percent), products they recently researched (23 percent) and contests or giveaways (22 percent). Scientists at Rensselaer Polytechnic Institute found that it only takes 10 percent of a group of people holding an unshakable belief to convince the majority to share that same belief. This phenomenon is evident on social media, where social influencers—social media users with a strong group of active, engaged followers—drive substantial impact. However, the sheer volume, velocity and variety of unstructured data available on social media channels can make this a daunting process. First, companies must locate quality influencers amidst this sea of information. Then they must engage quickly and meaningfully before competitors beat them to the punch. Predictive analytics is increasingly being used in social media marketing to address these challenges. By uncovering patterns and associations in unstructured social media data, predictive analytics software can provide nuanced insight into users’ behavior, attitudes and preferences—and can forecast how users are likely to behave in the future. Marketers can then act on these insights to provide the right content at the right time to the right audience, via the advocates best fit to influence them. To learn more, Software Advice asked a group of marketers to share their experiences and challenges with social media advocates. 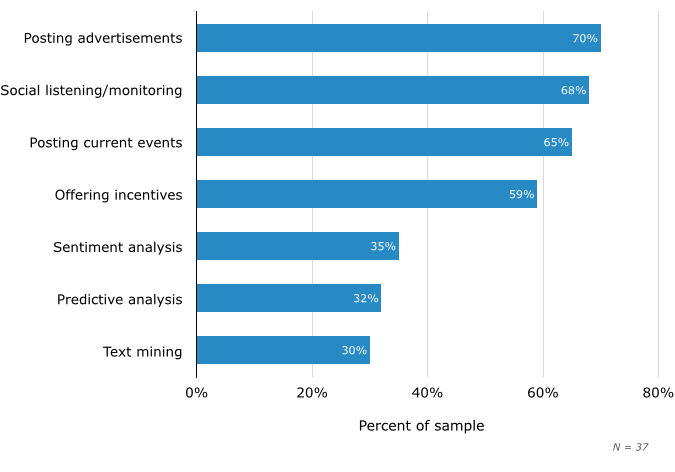 We also surveyed advocates to learn more about their preferences, and spoke to experts about how using predictive analytics software can help companies overcome the challenges of advocacy-based social media marketing and create content that resonates. First, we wanted to get more background on how predictive analytics software can help companies succeed in the social media space. We asked the marketers in our sample to choose (from a list provided) the top challenges they face when working with social media advocates. Sixty-two percent of marketers say that competing with other brands for the attention of social media advocates is a top challenge. Contributing to this could be that marketers also struggle with identifying influencers who make the best advocates (cited by 46 percent) and communicating with advocates (also 46 percent). Indeed, though marketers recognize the competitive advantage of finding people who both have purchase intent and are inclined to speak for their brand, many (46 percent) say they struggle to predict the behavior of influencers and advocates. Clearly, the ability to do so would give them a leg up over competitors. Another marketer says, “I find it difficult to predict behavior with any real consistency … we spend a lot of time trying to analyze data, but often it seems to fluctuate from quarter to quarter.” Indeed, the fact that influence is constantly in flux compounds the struggle marketers have with identifying and predicting the ideal influencer for their organization’s needs. Jaime Brugueras, vice president of analytics at Networked Insights, a predictive analytics software provider, explains that not every influencer is appropriate for every brand or product. A social media user’s number of followers and user mentions might be high, but this doesn’t necessarily mean they will be influential to the target audience or about the specific topic being promoted, he says. For example, a user may be influential for political causes but not for certain consumer products. Predictive analytics software helps provide greater insight by highlighting the early indicators of interest and purchase behavior. It looks at keywords used when social media users post, and the sites they visit when they talk about products. It also highlights other things they may be interested in, even if they aren’t mentioning specific product names—in other words, making intelligent associations. The business case for using predictive analytics software seems clear. However, our survey reveals that many marketers aren’t using it yet for the purpose of advocacy-based social media marketing. The majority still rely on traditional social media marketing tactics, such as posting advertisements (70 percent) and posting about current events (65 percent). Others (68 percent) are also listening in and monitoring what’s being said on social media channels, while just over half (59 percent) are offering incentives to nurture advocates. However, only 32 percent of marketers surveyed currently use predictive analytics as part of their social media strategy. There may be a few reasons for this. ⇒ Predictive analytics is still in early stages of social media use. While predictive analytics in general is not a new discipline, it is still in the early stages of being applied to social media marketing. Many marketers may not know what it is or that it can be used for this purpose. ⇒ The software landscape is varied and confusing. It’s possible that the predictive social analytics software landscape may be confusing for some marketers, as it is varied in terms of functionality and capabilities. Steve Wirig, senior product manager of Adobe Social at Adobe says there are many predictive and/or social analytics platforms available—particularly at the marketing level, where they’re often part of a broader set of software tools. But different platforms may be specialized for different purposes. For example, Wirig explains, Adobe focuses on predicting engagement with content, while other vendors may focus on finding influencers. ⇒ Companies are worried about the “creepy factor.” For instance, take the earlier example of a social media user discussing minivans and breastfeeding: A social media user might feel alarmed by a company listening in on what could be considered very personal subject matter, especially if the brand then approaches them directly and seemingly out of the blue. As we saw in the first chart, nearly one-third of the marketers we spoke with feel challenged by privacy issues. With so many social media fails circling the Internet, it’s easy to understand this trepidation. However, as our next chart reveals, these concerns may be somewhat unfounded. When the advocates in our sample are asked how they would feel if a brand messaged them directly through social media, a combined majority say they are “comfortable” with the practice. 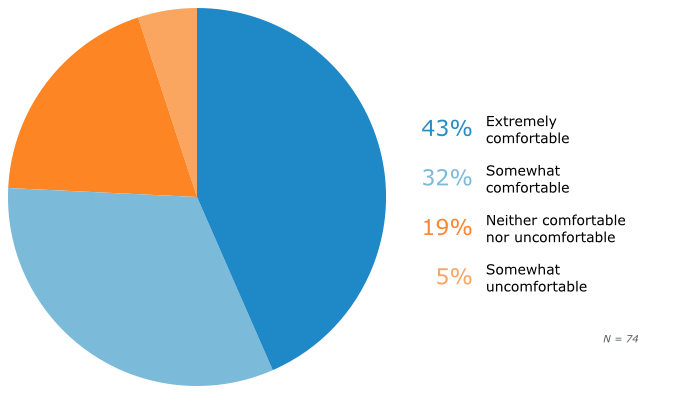 In fact, while nearly half (43 percent) say they would be “extremely comfortable,” only 5 percent would be “somewhat uncomfortable”—and none of the advocates we surveyed say they would be “extremely uncomfortable” being messaged by a brand. Clearly, advocates are less concerned about privacy than marketers may assume. This might be because they already expect to be approached by brands. While marketers are right to be cognizant of how they approach anyone on social media, this needn’t slow their proactivity. However, they should be sure that content and incentives are palatable and relevant. Whatever the social strategy, and particularly when using predictive tools for social media, Wirig advises that a “human element” still needs to be a part of the package. Technology is great, but not at the expense of human interpretation that’s needed for social channels, above all others. It’s a blend of a sharp social marketing team combined with best-in-class tools to understand and analyze the types of content they should be engaging, and the types of people they should be engaging with. Wiring also believes that marketers can present social media users with more relevant experiences, without crossing the line. Making sure that marketing communication is opt-in (companies could, for example, provide the choice when users join social media communities) also helps keep social media users from being caught off guard. Once a company has identified quality influencers and target audiences, the next step is generating user-centric content. This increases the likelihood content will be shared—which is what social media marketing is all about. When people are interested in something, they are more likely to share it and present it in an engaging way. So we asked advocates what types of brand content they’d be most likely to share on social media channels. The advocates in our sample say they are most likely to share posts with entertaining or funny stories (27 percent) or about products they have recently researched online (23 percent). 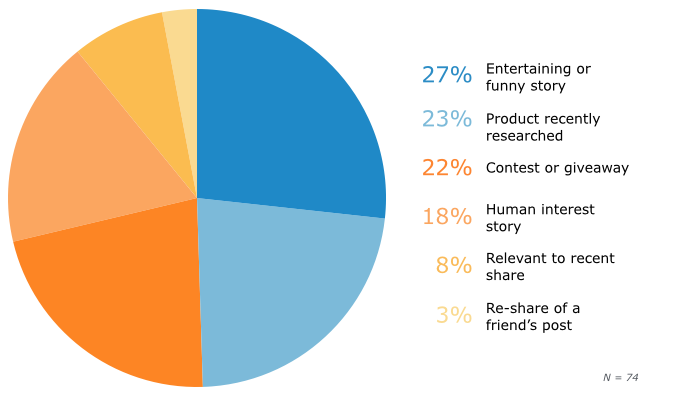 Information about contests and giveaways (22 percent) and human interest stories (18 percent) are also favored. Advocates are least likely to re-share a friend’s post about a brand (3 percent), or to share a brand’s post that is relevant to something they recently shared about themselves (8 percent). Twenty-two percent feel that if a message is particularly humorous or informative, it needs to be shared with others—corresponding with the high percentages of advocates who would share entertaining and human interest stories. Twenty-four percent share due to self-involvement; they feel smart because they have inside information. That advocates would share posts about products they recently researched makes sense here (and this explains why re-shares are less popular). 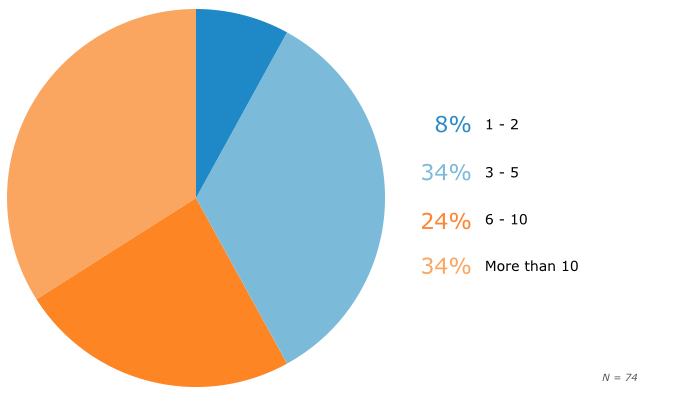 Twenty percent of people in this survey say they share to benefit their friends: The 22 percent of advocates we sampled who would share contests and giveaways certainly fall into this bucket. Marketers would be wise to consider not only how their content meets these social media user motivations, but how likely content will be to generate commentary. While a post about a contest or giveaway may be shared frequently, one that stimulates conversation may deepen engagement. Entertaining and human interest stories can do this while also humanizing a brand’s voice. Of course, the type of content a company chooses should really depend on its target audience. Whether content is funny or aligns with a personal cause is in the eye of the beholder. However, companies can take some of the guesswork out of the process by using predictive analytics software to predict engagement. Wirig explains that predictive analytics software uses historical engagement and conversion data from any type of social media post, and learns from it. When companies are crafting new content, that learning is applied to the new content’s attributes—for example, the time it’s being posted or the words being used—to determine whether audiences will engage with it. In other words, content that has similar attributes to that which has performed well in the past is deemed likely to be engaging to comparable audiences in the future. Of course, Wirig warns that a human lens is still necessary before promoting content, even if the software says it’s likely to be engaging. You can get an idea about how the content will perform, but without that human element and the interpretation of the world events and context at that time, companies run the risk of social media fails. Those are things that are hard to train into a predictive algorithm. Advocacy-based social media marketing can be an extremely effective way for companies to reach larger and/or more targeted audiences. However, the amount of information available on social media channels can be overwhelming to work with and interpret without the right tools. When using predictive analytics software, marketers can not only be more confident that they are identifying the right influencers to use as advocates, but also that the content they are generating is targeted at the right audience for the message. Getting this key information in real time helps companies remain competitive on social channels. Advocates were defined as those who share or re-share positive commentary about specific brands on an hourly to monthly basis. Of the 74 advocates we surveyed, more than half (53 percent) share positive commentary about brands weekly. Twenty percent share monthly. In addition, 34 percent follow more than 10 brands or products on social media. A combined 58 percent follow between three and 10 brands or products. To collect the data in this report, we conducted two 15-day online surveys of 13 and 10 questions and gathered 74 and 37 responses from social media users and marketers, respectively, within the United States. 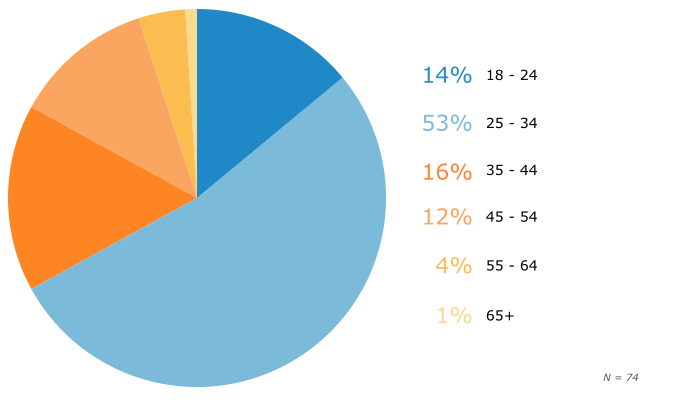 We screened our sample to only include respondents who are existing social media advocates for the first survey, and who are business-to-consumer social media marketers who use social media brand advocates as part of their strategy for the second survey. Software Advice performed and funded this research independently. If you have comments or would like to obtain access to any of the charts above, please contact lukewallace@softwareadvice.com.